We are on a bit of roll when it comes to Kalyan Nagar and its shopping scene. We already told you the best places to shop in Kalyan Nagar, now, we are going to hit you with a list of best home decor stores in Kalyan Nagar. These cool decor stores will help you set up your home on a budget, help you score neat options that can get you your dream Pinterest makeover, or even help you redo your entire furniture range. It's easily our favourite home decor store in Kalyan Nagar for quirky, functional, and cool options for your desk, kitchen, and home. You will find carrot peelers that look like sharpeners, foldable origami lamps, interactive calendars, palm-sized, rechargeable lamp, and host of detachable handles for all your upcycling projects with pickle and jams jars. 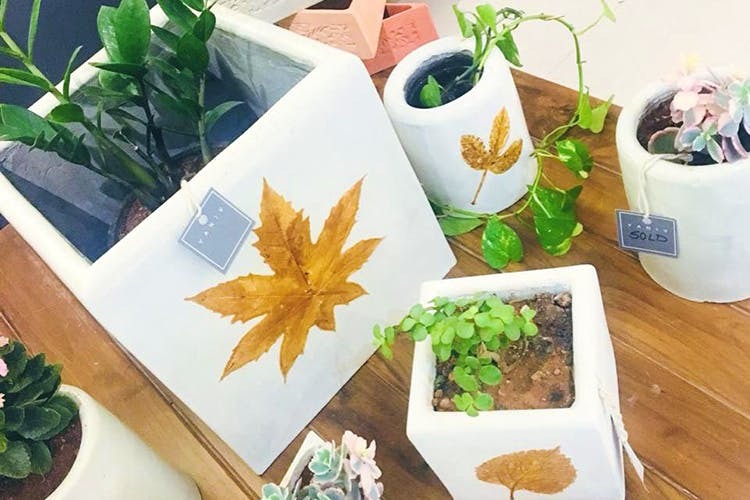 If you are going for a very rustic vibe for your place, then Yaniv does exactly that with its contemporary home decor options that are made of concrete. Think garden options such as planters and pots, candle holders, mirrors, leaf-shaped bowls to hold keys of the house or heart-shaped one for pens, and other trinkets. This Kalyan Nagar home decor store will sort you out with its range of sofa sets, curtains and cushions. The curtains and cushions are what you will dig first with options ranging from colours to designs. Think sheer ones in creams and pastels with light patterns in the curtain section and cushions in bold colours. Their decor is customisable too, so go ahead and get them customised to your liking. For a dose of contemporary, hipster or even quirky, turn your attention to Natural Living's collection. You will find options such as classic rosewood sofa sets to pale green chest of drawers. You will also find sheesham and hardwood furniture just like at grandma's house to quirky stuff such as light blue wooden elephant that also doubles up as a coffee table. Go crazy and do up your space in any aesthetic you please, as there are plenty of options. It's the perfect home decor store in the hood when you want to do up your space all nice and pretty on a budget. From curtains to candle stands and planters, they have plenty that you can choose from and starting at an easy INR 75. Nope, we are not joking. Do check out their curtains and cushion covers that come in cute prints and colours.